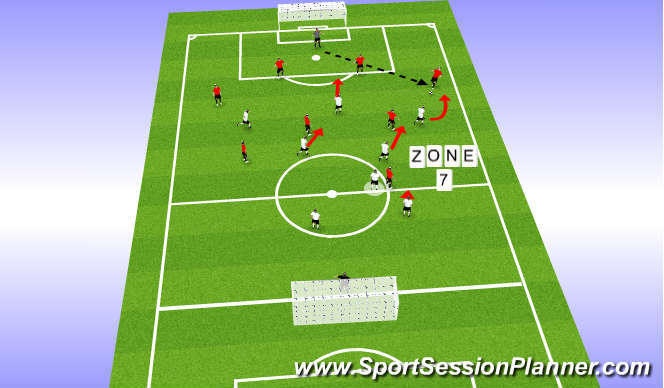 - FB Second Touch (Pass into CM - Winger Recovers into Space) (Pass into CF - Stay High) or Addittional Touch for Control allows further Pressure to be placed upon FB. 5. Formation is Suited to a 4-3-3 - Providing us and the Deeplying CM an opportunity to provide Balance/Cover but more importantly to Avoid and Aware of Opp. No.10 recieving the Ball into Feet. 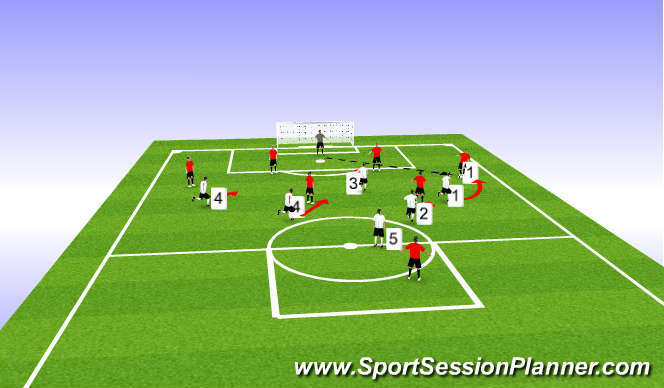 As Ball Travels to Full-Back / Players Required to Perform Actions Requested during Function/Phase. 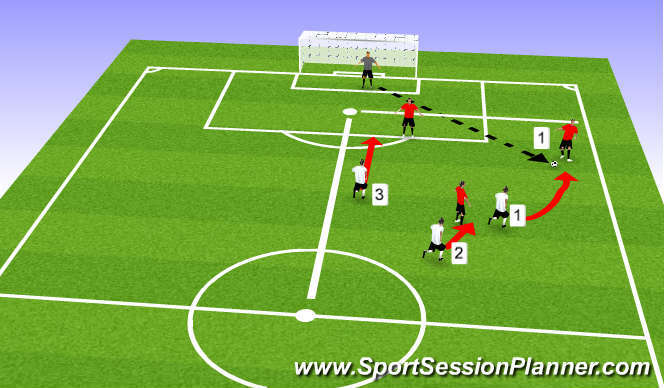 - As-well as viewing &apos;What If&apos;s&apos; throughout the practice and Pattens of Player Outside our Perfect Picture Goalkeeper will be continuel monitored to show Information has been provided around distances/information. 4. Perfect picture disturbed and players released from Left Back across to Right CB or Right Back, Team Adjust to Mirror Image displayed.